There are a ton of shows on television that take a look and poke fun at internet videos. However, Science Channel’s upcoming series What Could Possibly Go Wrong? takes the idea of foolish internet videos one step further, using failed videos as a platform to redesign experiments. In this exclusive clip from the Science Channel, we get to see what happens when two dudes try to build their own solar powered death ray. Check out the awesome exclusive video, below. 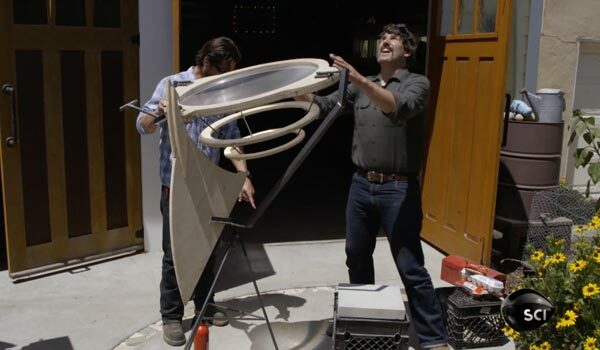 In the video, Kevin and Grant decide to build a solar powered death ray. They create schematics for a pivoting death ray that can move left and right as well as up and down so it can always face the sun. 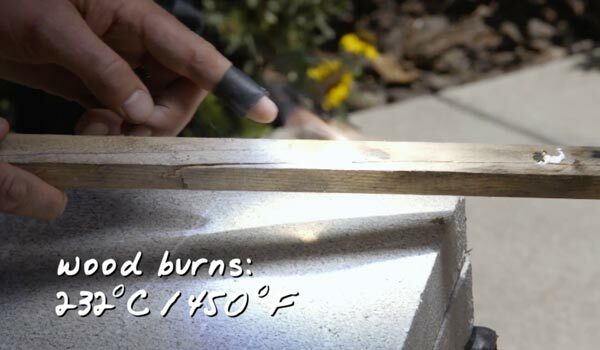 The goal is to get to 850 degrees Celsius, the melting point of silicon bronze. They pull out a pretty badass oxy acetylene torch to create their death ray. By using some cunning and a few killer tools, the two hosts come up with a pretty sweet-looking death ray. Amusing, as soon as the ray is set up, one of the guys attempts to stick his arm right in the danger zone, noting that it is hot almost immediately. Then the real fun starts, as the men proceed to burn wood, marshmallows and more with the death ray. You can catch What Could Possibly Go Wrong? on Science Channel and Discovery Channel beginning on Saturday, February 7 at 10 PM ET. Subsequent episodes also air Saturdays at 10 p.m. ET.